A necklace with pearls is typical of Bangladesh. Men and women wear jewelry here although the most is worn by a woman on her wedding day. Or when she is a guest at a wedding. The ladies of Bangladesh make sure that they look good when they step out. They are into shoes, bags, jewelry, makeup, and clothes with zing and color. 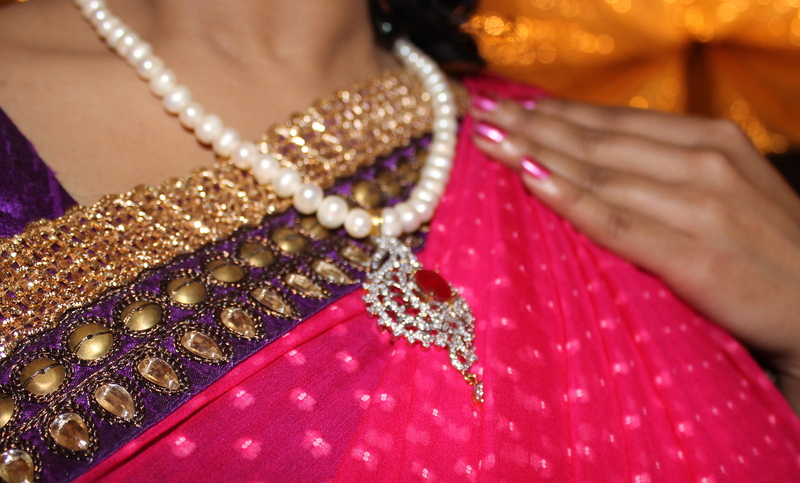 The necklace is in the same color scheme as the saree. 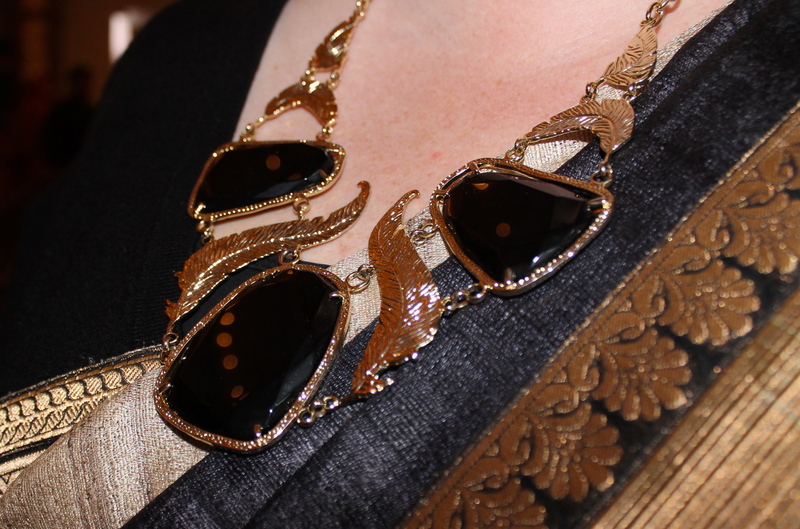 The expats tend to wear jewelry that is a little more muted or “matches” the outfit. 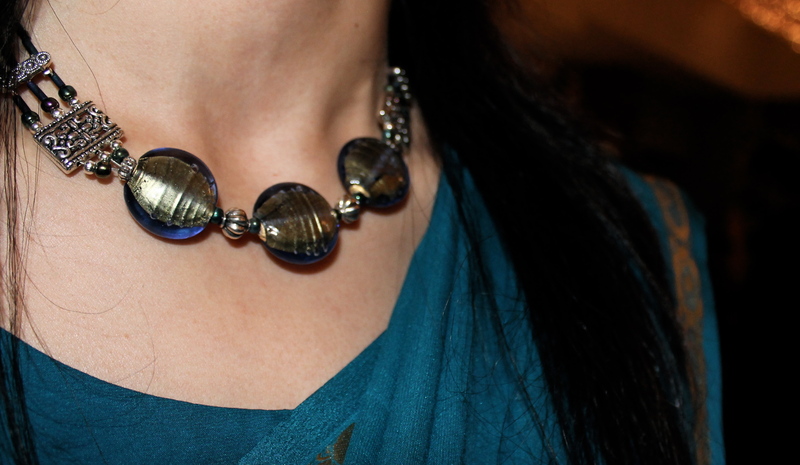 A hand made necklace of glass. Hi! I just came across your blog and it looks really interesting, I would like to keep in touch, it would be great to have any mail contact from your side! Just ping me here. Thanks. Would you mind if I contact you in any private mail you have?It would be much better, thanks a lot! If you have something private to say, you can email me at m@madventures.me. Thanks for the offer to publicize foodpanda but I do not have the time. Good luck with your venture!